The mission of the Alonzo F. Herndon Game Changer Entrepreneur Program is to strengthen the entrepreneurial spirit in our community by providing programs that encourage youth to stay in school, recognize business opportunities, and plan for successful futures. The Herndon Game Changer Program provides a unique approach in its design and implementation, which combines practical exposure and training in the various elements of entrepreneurship with hands-on, active mentorship from vested business and community stakeholders. 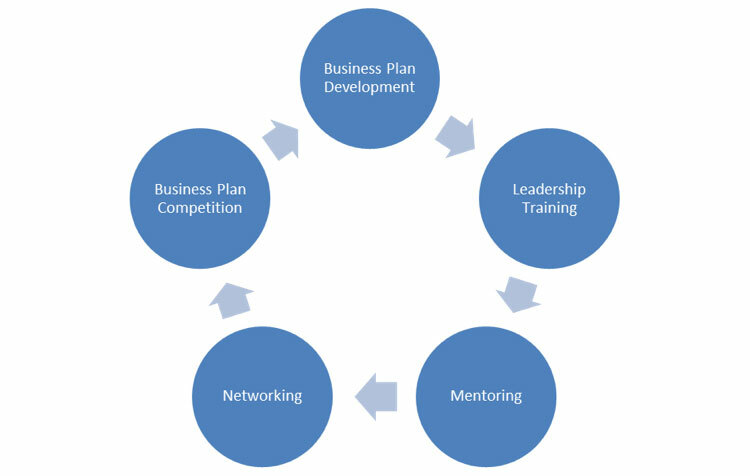 The Herndon Game Changer Program offers a practical, hands-on approach to preparing a business plan. Participants learn from experienced instructors, expert guest speakers, and finance, marketing, and banking professionals. They also learn by working collaboratively and sharing ideas with other program participants. The Program presents the perfect opportunity for innovative young students in Atlanta to learn, network, and compete in a business plan competition for scholarships. Herndon “Game Changers” are selected based on the following: 1) enrollment and standing as a 11th grade student in a metro-Atlanta high school; 2) successful completion of the essay portion of the application; and 3) submission of parent/guardian and recommendation forms. Game Changers enroll in the eight-month program, held one Saturday per month from 10:00 a.m. to 2:00 p.m. Each Saturday program will include enrichment seminars that will focus on a specific aspect of entrepreneurism (e.g., marketing analysis, capital, product development, business planning, etc. ), where business leaders and Game Changers have the opportunity for direct interaction. Game Changers work in groups of their peers to develop business plans unique to their own goals and objectives and use this plan to build a presentation for the programs culminating Business Expo. Competing students receive various recognition awards. In addition, graduating seniors who are accepted into college are eligible to receive scholarship funds. The Herndon Game Changer Program culminates with a graduation ceremony and recognition of each participant. Students experience cooperative, engaged and problem- based learning in an environment which fosters cohesiveness along with: a positive atmosphere; a view of our global world; a fair, level playing field; access to caring individuals; computer/technology support; empowerment; and respect. Outcomes of the program will include: increased problem-solving and decision-making abilities; improved interpersonal and communication skills; job readiness skills; and enhanced social psychological development. Our team is comprised of a dedicated group of professional entrepreneurs, marketers, trainers, and professionals with global expertise in business education and development. A regular array of volunteer guest speakers will provide students the opportunity to hear from and interact with real-world entrepreneurs and business leaders, an essential component to the Game Changer experience. Students will also be paired with local College Students to assist them in developing their business plans. I already own a business, how can I help? Create a lasting legacy of an entrepreneurial culture by helping today’s youth understand they have an option to shape their own future. To be a guest speaker or to support the Herndon Game Changer with a financial investment, call 404.581.9813 or email the Program Director at jwsmith@herndonhome.org. 2016/17 Game Changers from highest rated presenting team pose on stage with keynote speaker.